Our service is different. We provide a service that works. We strive to resolve your issues and work with our customer to ensure the job is done correctly the first time. If we cannot resolved your pest issue this will result in us losing your as a customer. This is not what we want but we will do everything in our power to resolve your issues so that we don’t lose you as a customer. At Wilson’s Pest Control believe we have the best customers; you as our customer are very important to us that what keeps us in business. Our Customers tell us exactly what their issues are no matter what they are, we provide them with a service that fixes their pest problems. Wilson’s Pest Control provide a current service and keep up to date with industry changes by undertaking training and attending information event ensuring we offer our customer the best product and service year after year. We don’t use scare tactic, we give you many solutions to resolve your pest issues. Our loyal customers want a good service and we believe in doing business the old fashioned way, we therefore have put the Wilson’s family name on the line. Wilson’s Pest Control is owned by Don & Manda Wilson, we are both licensed technician and are supported by good staff and have fun working together as a team. We offer customers across Sydney obligation free advice on all aspects of pest control. We are fully accredited and equipped to take on any job size. We only use quality products to ensure the job is done correctly the first time. We guarantee our work and take an interest in our customer’s needs. We are flexible, honest and reliable, charging a fair price for the services we provide. When we receive your call, we will assess the extent of the infestation, discuss the type of treatment you require and take into account your family, pets and business requirements. We provide you a quote and time to complete the total service. We don’t take shortcuts and ensure the job is done safely and efficiently. What are you waiting for? Get in touch with us soon and keep your environment free of unwanted pests. Why choose our pest control services? We offer pest control solutions for both businesses and homes. Wilson’s Pest Control offers our clients a full range of services to fulfil their pest management requirements. Wilson’s Pest Control is a reputable name in pest removal and preventions. Our pest service is effective & safe. We work with our customer to rid your property and home and make it completely pest-free. 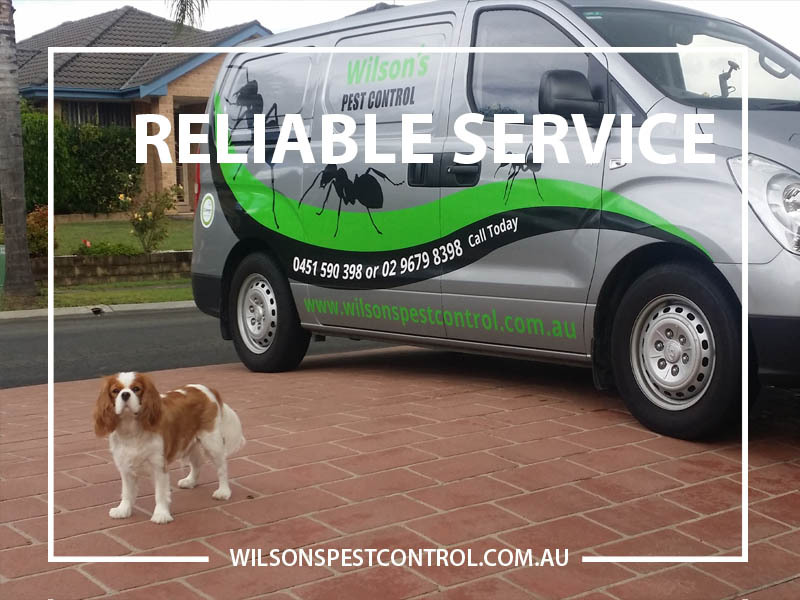 Wilson’s Pest Control offer a wide range of services, including: On-site assessment, evaluation of the problem, general pest control domestic & commercial, termite inspections, baiting & treatments and obligation free pest help. We pride ourselves for safe pest control solutions and competitive prices. Wilson’s Pest Control aim we do the job correctly the first time and if you have a problem we will rectify it immediately all our work is guaranteed. Our Pest Control service provides ongoing assessment and review to ensure you are receiving a high level of service. We aim to either meet or exceed your expectations and to ensure removal of pests from your premises is carried out safely, professionally. Wilson’s Pest Control will provide initial site consultation and assessment to determine the most cost effective process for your Pest situation. We strictly adhere with industry codes of practice and regulations. As a member of AEPMA we adhere to a strict Code of Ethics. We are covered by insurance, and are fully licensed to perform Pest services. We continually keep up todate by undertaking training, attending industry events and to keep up todate on latest technology and changes in our industry. As a member of AEPMA we have access to resources and professional advices from the industry to ensure we delivery the best most effective service to our valued customers. Dust mite and allergies solutions for the entire family. Wilson’s Pest Control use a high powered dust extraction unit which is totally chemical free. Did you know that dust mites are tiny, microscopic pests, that are found in human habitats, like our house, beds, lounges, carpet, mats. Dust mite droppings are composed of protein compounds, if and when we breathe in the substance or when dust mite comes into contact with our skin and body tries to protect us by producing antibodies. These antibodies release histamine a chemical that causes the typical redness and swelling associated with allergies. Symptoms include itchiness, eczema, watering eyes, sneezing, coughing,runny or itchy nose, hay fever, breathing problems. Wilson’s Pest Control solution will eliminate dust mites from your home which will aid to improve your overall health. We only use safe and environmentally friendly solutions. Wilsons Pest Control use chemicals with caution and care for you, pets and your loved ones. 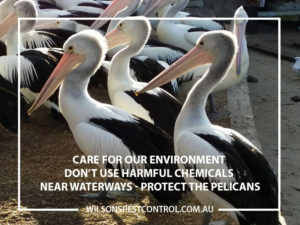 Wilson’s Pest Control care about the environment, we strive to use the least toxic hazardous chemicals possible, and where possible no chemicals are used we help you change your environment. We strive use most effective pest control products available. We aim to use only products that are targeted at the insect and lethal to insects while at the same time being harmless for humans and pets. Our termite treatment that we recommend is not listed on the poisons register and is totally safe to use around your family, pets and does not kill good insects like pollinating bees. Eliminate germs, viruses, bacteria and more on household surfaces. Chemical-free, odorless hospital-grade UV-C light has lethal effects on germs and bacteria by destroying the DNA of odor-causing and allergy-inducing microorganisms. This sanitizer virtually eliminates unwanted bacteria, including E. coli, H1N1, MRSA and more. It safely eliminates 99.9 percent of germs, viruses, bacteria, allergens, and flea and dust mite eggs from household surfaces and fabrics. Tested by independent third party laboratories in both America and Australia. Great for both homes and businesses alike! Unlike sprays and wipes, sanitizing with UV-C light leaves no liquid or chemical residue, making it ideal for sanitizing restaurants and childcare centres. Thanks Don and Manda for your hard work. We had been through several termite companies including a couple of shoddy providers so it was a difficult process to figure out who to engage. These guys put a lot of time into explaining our options to us without a lot of the scare tactics that many companies tried and we were very comfortable working with them are very happy with their work. We would recommend Don and Manda to anyone, many thanks again guys! 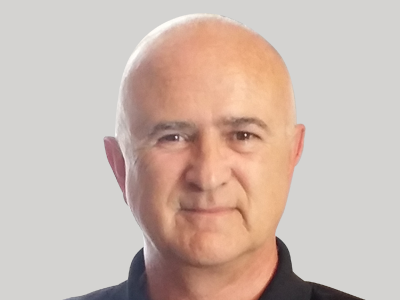 Hi my name is Don, as the owner and director of Wilson’s Pest Control business, our success and reputation depends on building trust with our loyal customers. Today, we stand proud as a family owned and operated pest control service in Western Sydney and service all across Sydney. 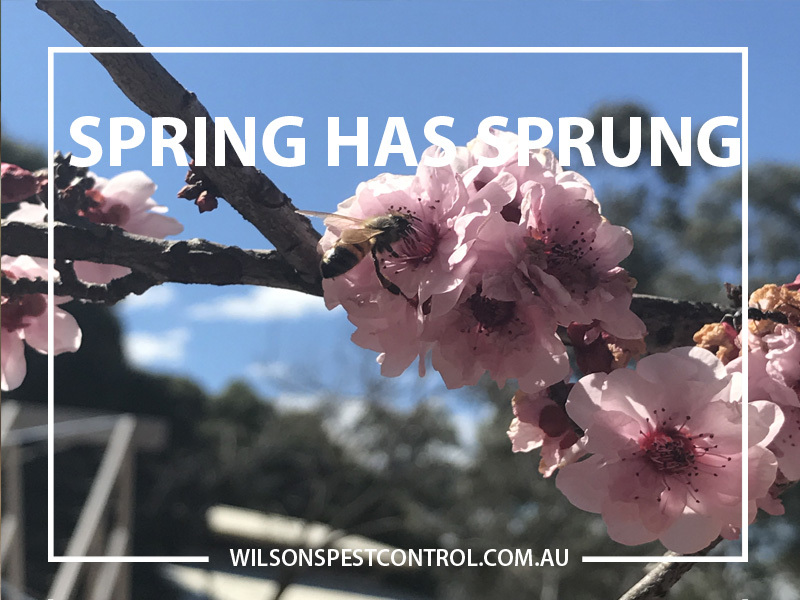 When it comes to your business or home Wilson’s Pest Control has you covered for all type of pest control across Sydney including pest control in blacktown and pest control in Castle Hill ! Our Pest Control treatment provides better protection from pests but significantly reduces the risk of infestations by undertaking annual, quarterly, bi monthly service which are designed with convenience in mind. Our treatments all target pests in your commercial, industrial or domestic premises including Cockroaches/German Cockroaches, Ants, Spiders, Rodents Termites. Just tell us what problem you have and we will provide solutions to resolve the issues. We listen to you our customer. We take our time and do the job properly. We work with you to eliminate pests from your property internally and externally. Wilson’s Pest Control put the best practice and effort to ensure our service eradicates pest issues in your business, restaurant, home. Our pest control service is provided by a qualified licensed team, which ensures that all work carried out is done correctly the first time. Our pest control service is designed to ensure we are not difficult to deal with and ensure the pest service we offer is conducted efficiently, professionally to the benefit of both parties. Wilson’s Pest Control inspection and routine preventative services provide you with a solution and we don’t take shortcuts when servicing your business needs.When we look after your business we are committed to modifying our practices to ensure it works for your commercial business our pest control processes have evolved and we can provide you with some excellent solutions by undertaking annual, quarterly, bi monthly service which are designed with convenience in mind. Our treatments all target pests in your business/home including Cockroaches/German Cockroaches, Ants, Spiders, Rodents. Our Pest Control treatment provides better protection from pests but also significantly reduces the risk of infestations by undertaking annual, quarterly, bi monthly service which are designed with convenience in mind. Our treatments all target pests in your home including Cockroaches/German Cockroaches, Ants, Spiders, Rodents Termites. Just tell us what problems you are having, we listen to you our customer. We take our time and do the job properly. We work with you to eliminate pests from your premises by treating the inside and outside. Wilson’s Pest Control work with many industrial business and to ensure pest infestation are controlled by taking preventative measures for your business wich add up to big cost savings in repairs and maintenance caused by pests like rodents, birds, germ spreading insects. By undertaking a regular service by undertaking annual, quarterly, bi monthly service which are designed with convenience in mind of your operation there are significant benefits for industrial facilities, factories, manufacturing plants to protect their pemises from pests that can cause serious problems. Good property and safety management utilizing pest management solutions protect employees and the business from transmissible diseases that are carried by rodents chewing through wiring causing electrical fires, getting into machinery, building nests in roofing and vents, unsanitary and unsightly hygiene in the workplace. Our Pest Control treatment provides a discrete service by working with the restaurant/café/hospitality manager to ensure their environment is free from unsightly pests that spread disease and a unsightly to your customer. We ensure the methods we use are targeted at the problems and put in measure to ensure we manage and prevent reoccurring issues by significantly reducing the risk of infestations. Our Sydney Pest Control Service offers annual, quarterly, bi monthly service which are designed with convenience in mind. Our treatments all target common pets like Cockroaches/German Cockroaches, Ants, Spiders, Rodents.